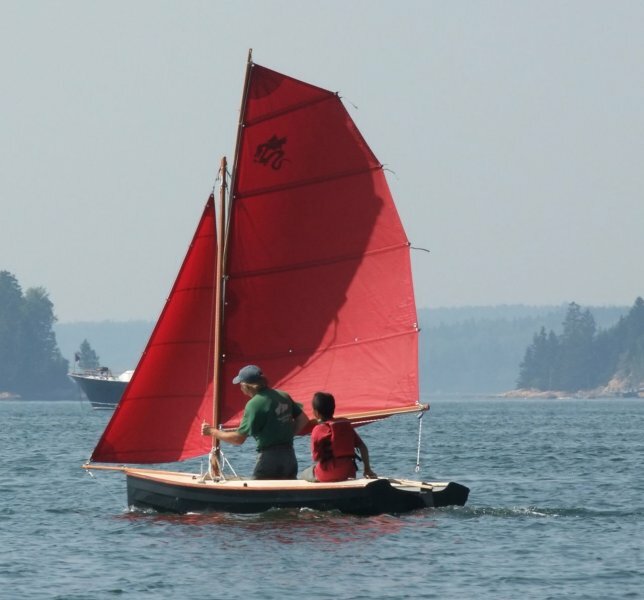 John Brooks and Ruth Hill and their four children at Brooks Boats Designs designed and built a new plywood kit boat last summer. 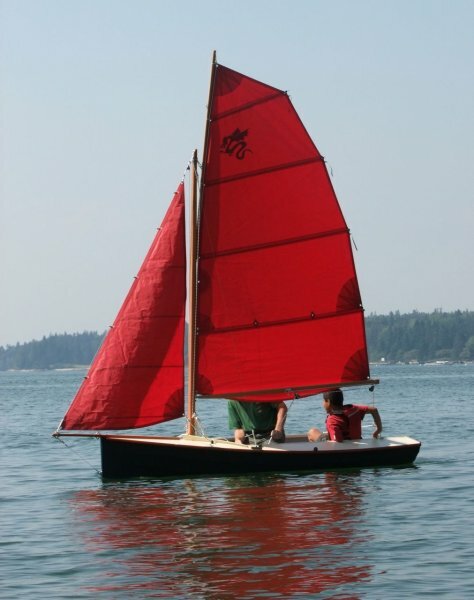 The DragonFlyer design is meant to be a trainer for beginning sailors and then grow with their skills, offering lively sailing as their own skills are developed. This is Brooks Boats first kit desing. The framework on which the hull built—looking sort of like an egg crate—stays in the boat strengthening it and forming air chambers. Very little material is thrown away at the end of the hull building process. 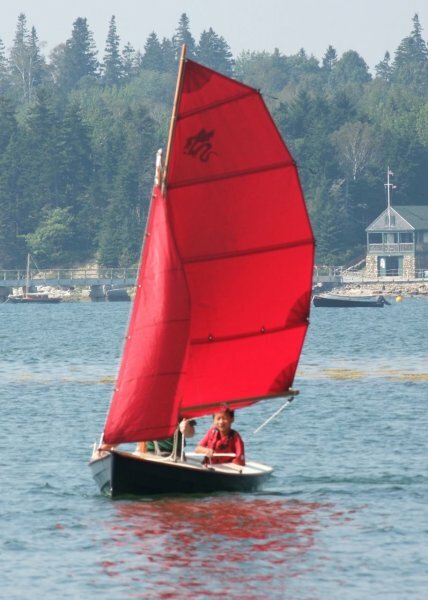 In Mike O’Brien’s review of the DragonFlyer in Small Boats 2014, he described the design as a versatile and dynamic sail trainer. She can be sailed with the main alone, under main and jib, or with the main and the asymmetrical spinnaker. The hull has sealed floatation tanks running down both sides, which provide ample positive buoyancy. The 10′8″ glued-lap kit is built with plywood and epoxy. The Brooks employ a gluing method that uses relatively little epoxy compared to stitch-and-glue designs of a similar type.